There’s nothing like getting close to your passengers and melting away any concerns they have, but Sir Richard Branson has taken this to a whole new level. 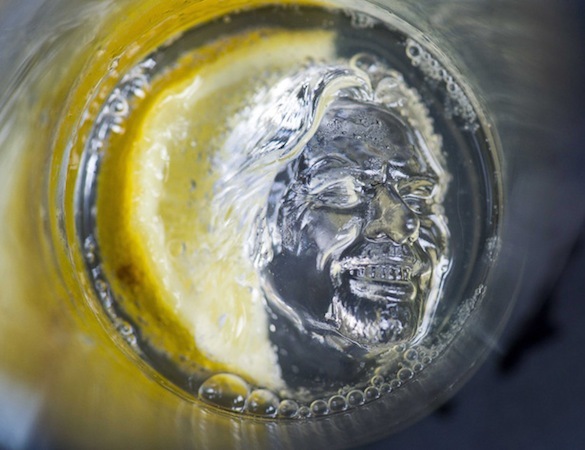 In an interesting PR stunt, Virgin Atlantic have launched a new onboard Ice cube. Yes. Ice cube. In a bid to… well I’m not quite sure to be honest, Virgin Brand entrepreneur has released an ice cube available to passengers in Upper Class. No, you are right to check, but it really is May 1st, not April 1st. Whilst I sincerely hope this doesn’t last too long as a product onboard the flight (it is hinted as temporary) perhaps a better, more trendy design would be a better idea for Virgin’s New Upper Class – to match the great new design innovations in the cabin. What about the Virgin Girls that adorn the livery? I have to pat Richard’s sense of humour on the… well… ice-y face. Little elements like this is what Virgin is famous for, and continues to grab column inches and generate a buzz around his products. According to other sources, it took a team of four skilled designers six weeks to create the moulds by using detailed photographic techniques and laser scanning technology, even down to a very detailed beard and trademark grin.